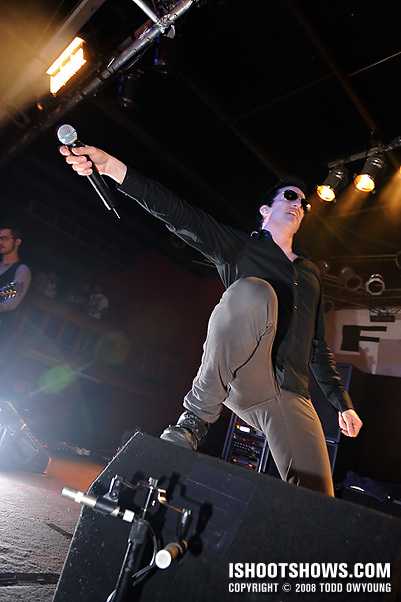 August 12, 2008 – Filter frontman Richard Patrick brought the sonic napalm, his signature high range, and a pair of primed lungs to the stage in the band's high-energy performance at Pop's. The undisputed favorite of the night, however, was Patrick's breakout hit, “Hey Man, Nice Shot,” which had the pit rocking like it was 1995. 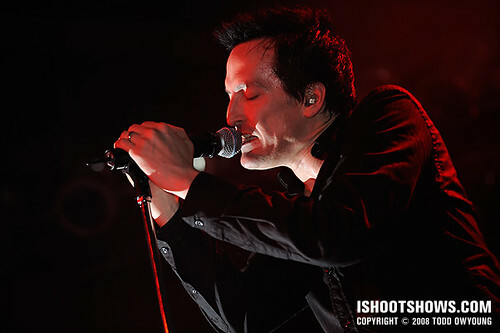 Since Richard Patrick is the co-founder, frontman, and only original member of Filter in its current incarnation, I chose to focus my attention primarily on him for this set. 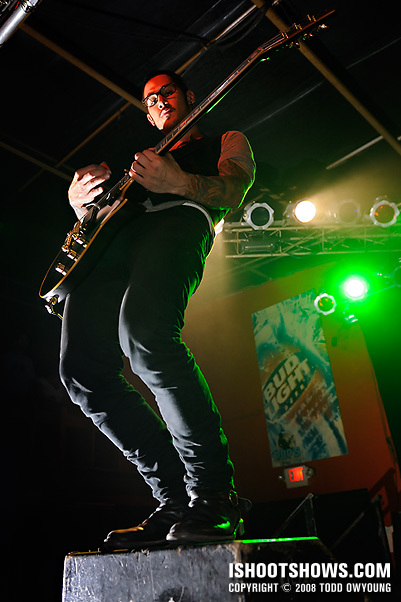 While the other band members provided no shortage of great shots themselves, Patrick's veteran rock star magnetism won out. 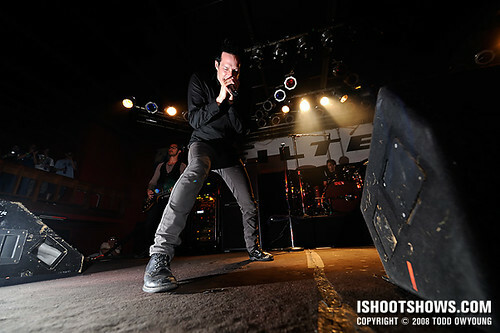 Between his big delivery on vocals and all the epic poses a photographer could ask for, the singer was a thoroughly engaging subject throughout the set. Due to lighting comprised mostly of deep color washes, I tackled this set with the help of a little help from Nikon's “Creative Lighting System” of wireless flashes. I shot with a Nikon SB-800 on-camera acting as the commander to an SB-600 positioned on the stage. Hello!!!!!! first i want to say i love your work!!! you just inspired me to start doing concert photographs!!!. Just one question… where did you put the sb-600???? did you have someone holding it for you??? or did you put it on a clamp??? where?? Thanks for the comment, I’m glad to hear you appreciate the work. 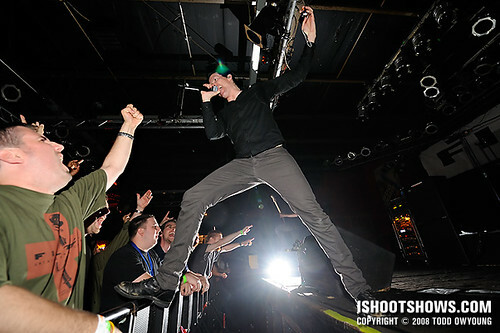 If I’ve inspired you to start shooting concerts, that’s a huge compliment to me! 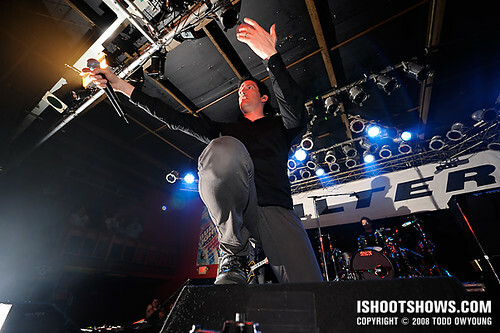 To answer your question, I used the SB-600 with the “foot”/stand that comes with the flash, positioned it on the stage. 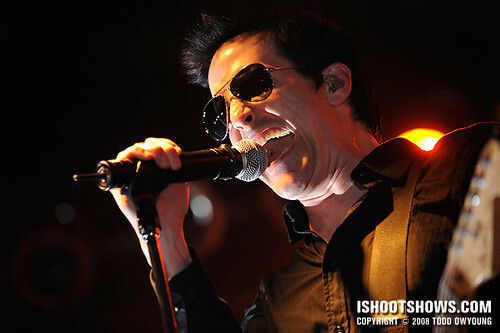 Great shots Todd! You pulled off a great set here! Teach me your ways, Master. Thanks for the comment, glad to hear you could get into this set. This was the first time I’d used wireless flash for a gig aside from a DJ shoot with Paul van Dyk, and these rockers moved around a lot more than he did. 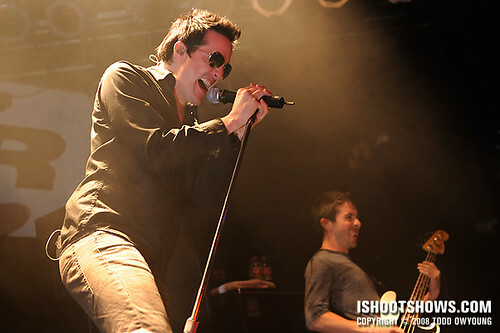 No better way to start the day than some fresh Todd Owyoung shots :) Love shot #9 with the guitarist on the amp. Thanks for you pick! 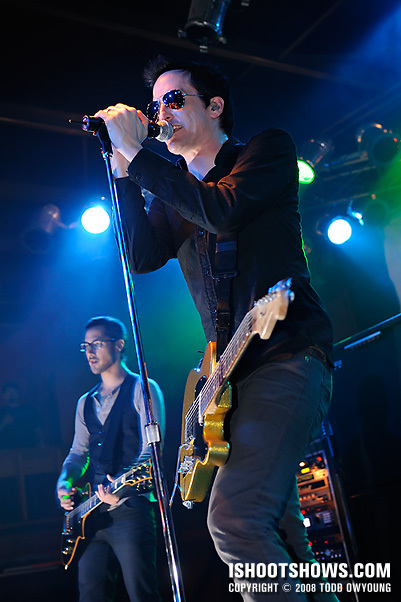 While I was mostly concentrating on Richard Patrick, guitarist Mitchell Marlow put on a really great show. HECK YES! This is AWESOME dude. I love 1 and 7. Sweet feel to these photos. 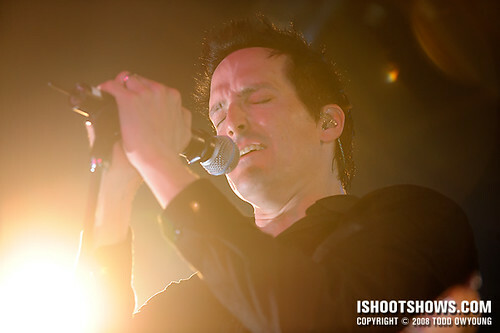 Btw, why didn’t I use the pop up flash the entire show last night….I dont know why I didn’t. Anywho. These are awesome. Thanks for the feedback and your picks. Sometimes you gotta do what you gotta do, even if it means using the pop-up flash. And now you know. If there’s one thing that my using my SB-800 and SB-600 have taught me over the last two months is to not hate flash for concert photography. Naturally there are pros and cons to using flash, and it’s not the solution for all shows, but it’s just another tool that we can call on. Now that you have a D700, have you considered using the pop-up flash as a commander instead of an SB-800? Or are you using the SB-800 as a light source in addition to the slaved SB-600? It would certainly be less cumbersome, although I’d be interested to hear your take on the compromises of doing so. Hey Jason, good question. The remote flash is often perpendicular to the subject-camera axis, the flexibility of a commander flash with a swivel head is a nice feature for more reliable triggering. I am also using the SB-800 as a fill for some shots. Like the 2nd shot a lot! 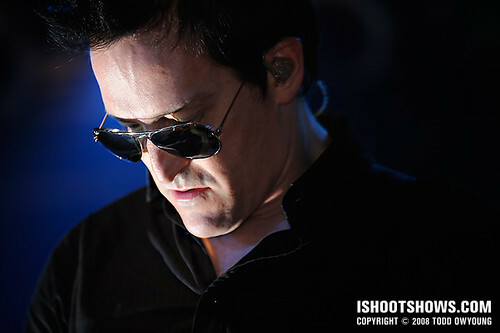 Aren’t you afraid that one of the band members is going to knock into the second flash? Hey Bryan, thanks for the pick. 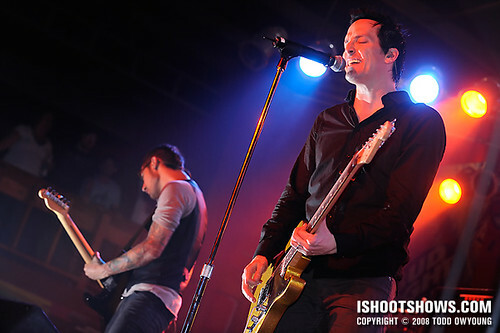 I picked spots where the band wasn’t likely to go, but yes, it’s a real possibility for them to kick the speedlights. This is my first comment on your site. I’ve stumbled upon your site a while back when looking for concert photography tips, due to my dissatisfaction with the results of my first show. I’ve learned a lot from your blogs and tips, and think that they’ve helped me(and probably many others) dramatically. Well the reason for my post is that I’m noticing you use flash more, and I wanted to know if you can offer any tips for us readers? Concert and flash/strobist photography are already challenging enough on their own, but it looks like you’re doing both pretty nicely without breaking a sweat. The locations where I’m able to shoot, offer little to no light, forcing me to shoot with higher ISOs and the fastest lenses possible. Others(even pro) photographers in the same venues end up using flash, and don’t get nearly the same results I’m seeing from your images. Suggestions for both better flash results and not annoying the performers/fellow audience would be greatly appreciated. Thanks! Hey Ben, thanks for the comment. I plan on writing an article on the use of flash in the near future, so I hope you’ll look out for that. But the most essential part of using flash and not having it look like the standard sort of flat flash most people think of is to get the light source as far away as possible from the camera. HOLLA! Picks: 1, 6, and 7. I think of all the close ups, 1 is my favorite — the deep red wash and the flash, along with his mouth screaming give it some real energy. I think 6 shows a little more personal side to him — he’s not just singing… it almost looks like he’s thinking really deeply, a characteristic often not seen on stage [well, captured]. 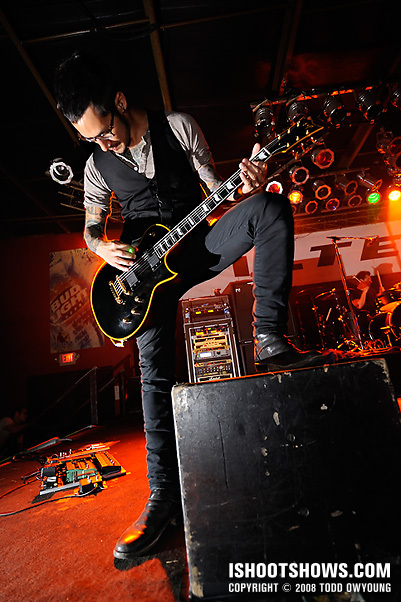 7, I really like the stance — he really does seem like a very engaging subject. Honorable mentions are 2 and 3; in fact, I’m going to say 2 is one of my top favorites as well — I just really like it — the white light really separates him from the red and makes it really dynamic. Mucho points for this , this , and this . I think I enjoy the 2nd the most of those 3. Great photos, man. Wish I had been there. But, you cheated — flash goes against my rules :) I can use it, but you and Keith can’t. Bam! Hey Chris, thanks for your picks and detailed comments. Flash tips are coming up, but as I mentioned above: moving the perceived light source off the camera makes a huge difference in elevating flash photography for gigs.